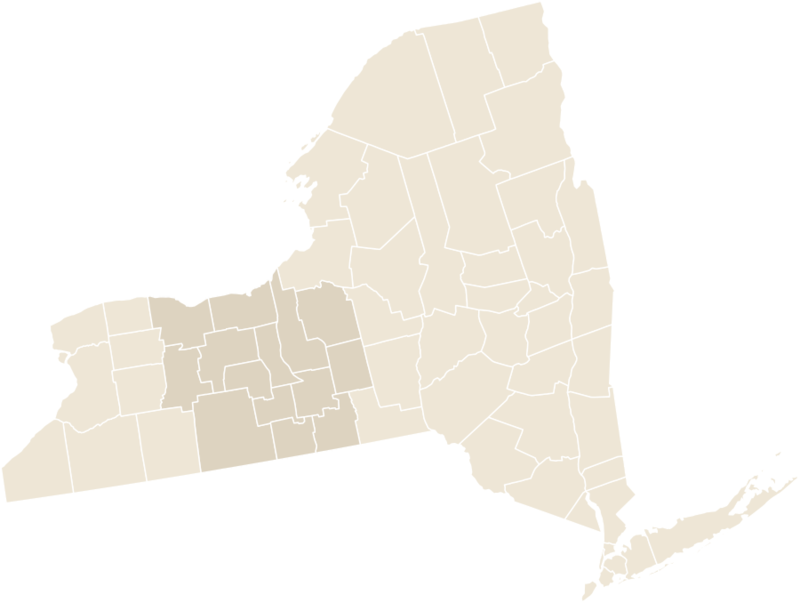 The Finger Lakes are known for producing excellent wine, particularly for world-renowned Rieslings. That being said, the Finger Lakes have so much more to offer. The region also boasts a number of breweries, distilleries and hard-cider producers. The Finger Lakes are not just for the 21+ crowd; there are activities here for all ages. Museums are spread across the region, including the Glenn H. Curtiss Aviation Museum, displaying the history of Glenn Curtiss, who was awarded U.S. Pilots License #1 in 1911 and held the motorcycle speed record from 1907 through 1930. If you are looking to get outdoors, the Finger Lakes are a must-see destination. From hiking and biking, to boating and fishing, there's something for everyone to enjoy. There are also a number of state parks with scenic beauty to behold; visit Watkins Glen State Park to see the gorge trail complete with 19 waterfalls. 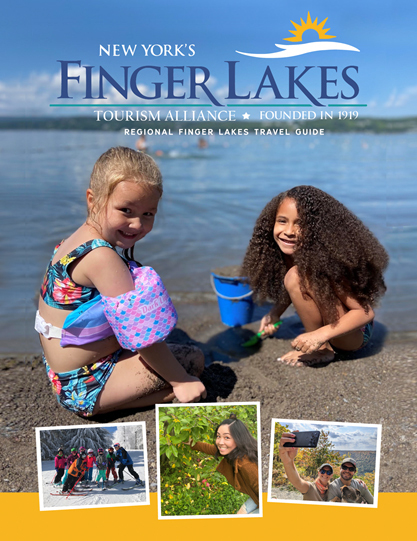 If you are planning your next family vacation, day trip or weekend getaway, look no further than the Finger Lakes Region of New York. Beautiful scenery, award-winning Finger Lakes wineries, outdoor activities and more await. The Finger Lakes Tourism Alliance is celebrating its 100th Anniversary! Join us in celebrating the history of the organization and the Finger Lakes Region as a whole at our 100th Anniversary Gala presented by CK Cellars and hosted by the Ramada Plaza Geneva Lakefront Resort. Click here for more information and to purchase tickets to the event. The Interactive Map will provide quick and easy access to the destinations you are looking for. Start by clicking on a section or using the form below. Saint Lawrence Spirits is a family owned and operated farm-based distillery. We are passionate about providing quality small batch craft spirits. Watch the animals as they enjoy their very own “Egg-Stravaganza.” A variety of animals will receive eggs and egg-shaped enrichment items throughout the day. Don’t miss this egg-citing event! Romulus, NY - This spring, the Cayuga Lake Wine Trail launches their “Customer Appreciation Week” promotion. Registration Now Open for Spring Acting for Kids Classes! Katelyn Cantu's Acting for Kids Classes are Back for Spring! Geneva, N.Y.: Join the Geneva Historical Society and First Choice Travel on Tuesday, April 30 at 3:30 and 6:30 p.m.